This article was originally written in 2009 and may now be out of date. 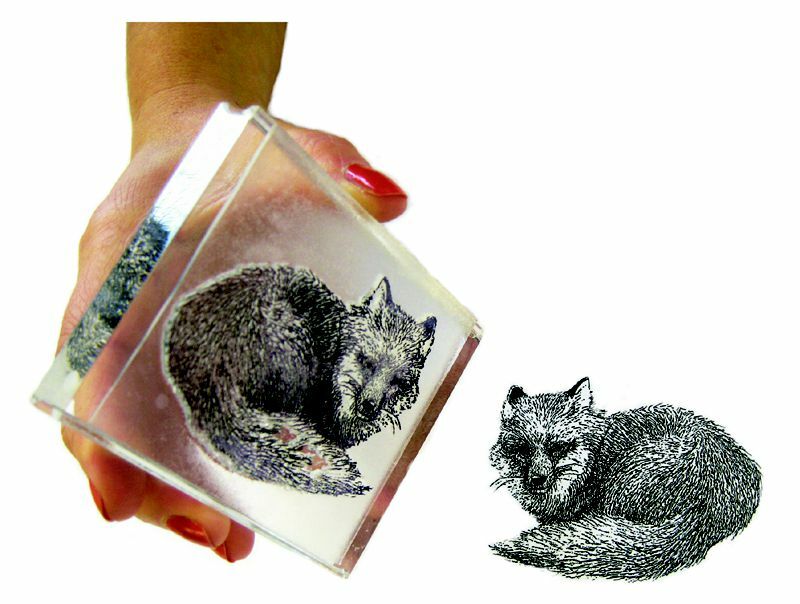 Stampers who are interested in making their own unique stamps will be interested in the imagepac / JustRite clear polymer stamp making systems. There are kits and products available that are suitable for stampers interested in making just a couple of unique stamps for their own use, through to stampers interested in producing professional quality stamps for sale. The systems use patented polymer packets (sachets) which simplifies the process of making polymer stamps. All the imagepac / JustRite products are simple to use and stamps can be created from home with the minimum of special equipment. The stamps produced have deep impressions and allow for a surprising level of details. In addition to detailed outline stamps, it is also possible to make photorealistic stamps from photographs. The imagepac / JustRite Daylight system allows users to create their own unique stamps at home using no other equipment than a single 60 watt light bulb. Stamps can be created using hand drawn or computer generated images, copyright free designs, clip art, photographs and a wide number of other designs and images. How Does imagepac / JustRite Daylight Work? imagepac / JustRite Daylight uses visible light to make photopolymer gel harden. This means that people can make stamps at home just using a standard 60 watt light bulb and not requiring expensive UV light exposure equipment. The imagepac / JustRite Daylight system works using packets (sachets) that contain a special gel. Each packet makes a stamp and these are available in various sizes. The gel is light sensitive and as such the packets need to be stored in a protective container. The packets should not be removed prior to use. To create a stamp the packets are placed in a clamp over the artwork and this is placed under a 60 watt lamp. In normal conditions it takes around 25 minutes to make a stamp. The entry level stamp making kit, which can be found for sale at less than $40, is the Stamp !t kit. This kit contains everything that is required to get started and includes a selection of different sized polymer packets. The Stamp !t kit also includes a range of artwork examples and copyright free images for stampers to use. The Imagebox professional system is designed for people who want to produce small production runs of stamps. This is ideal for stores or individual stampers who want to make professional quality stamps for sale. The system uses UV to make the stamps. The polymer gel is the same quality as the gel used to create commercially produced stamps. The Imagebox system processes polymer gel packets using inbuilt UV light to create stamps. The process is very straightforward with the polymer packets being placed over the artwork within the Imagebox. The UV light hardens the gel over the white areas and this creates the stamp. The Imagebox system costs $250 and the costs for producing a 8.25” x 11.75” sheet of stamps starts at $9.70. Both stamp making systems use polymer packets and this is the main consumable cost. The packets are available in different sizes and can be purchased in bulk if required. Other consumables include artwork film and paper which may be useful for some stamp making projects. Any copyright free artwork can be used to create stamps using the imagepac / JustRite system. Many stampers are attracted to the imagepac / JustRite system because they can create their own designs. This is simple to do and the photopolymer gel works by hardening the areas that are exposed to light. Artwork is created in black and white and the white areas are hardened forming the image on the stamp. It is important to remember, therefore, that the images should be in negative. There are some important requirements to ensure the successful creation of stamps. These include making sure that the black on the artwork is a dense black and not speckled with white or gray. Very detailed instructions and information are provided on the imagepac / JustRite website explaining how to successfully create images for stamp making. imagepac / JustRite stamps can be used in the same way as any other clear stamps. Stamps that have been made using the Imagebox system are of professional quality and are identical to commercially produced stamps. The stamps created using the Daylight system or using the Stamp !t kit have a slightly yellow tint, but other than that they feel and look the same as acrylic stamps and will self adhere to clear stamping blocks for use. If the back of the stamp loses its tack then it can be attached to a stamping block using a repostionable adhesive or glue stick. In addition to stamp making sachets, the imagepac / JustRite system will also create embossing dies. This uses the same process as that used to create stamps, however the sachets are thinner and have a hard and soft side.